If there’s one thing you should feel grateful for, it would be your lovely hometown. Just think about how lucky you are for riding the subway on your way to the office. You can just sit back and enjoy your own space. The best part: you can actually feel your toes, and yes, you can breathe! Indeed, it may sound crazy, but at least you can still ride the subway and breath at the same time. Now imagine yourself almost suffocating on the Japanese Rapid Transit. It can’t be an exciting experience, can it? As you try to see the whole picture, just think about the subway riders in places like Tokyo or Beijing. If you want to get to work on time, you should be able to sneak extra-fast inside the metro. Let’s take Beijing as a fitting example. 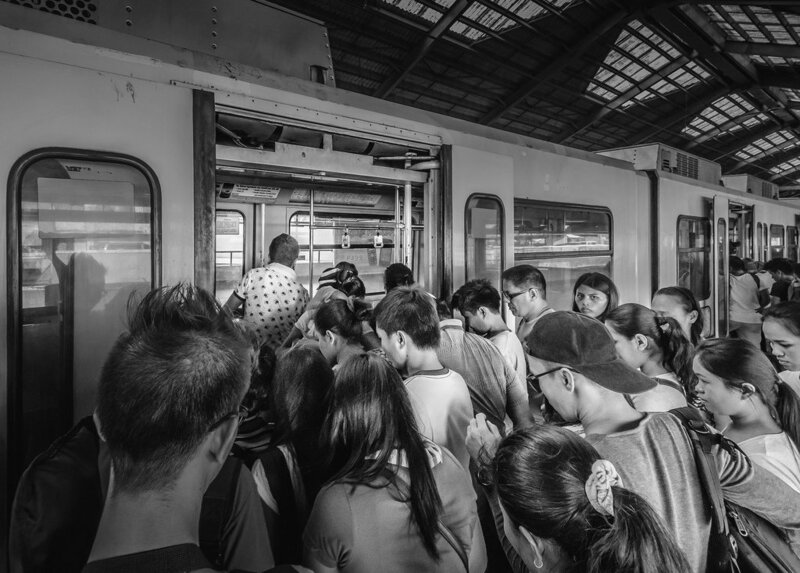 There’s a whole lot of videos on YouTube showing Beijing subways over-crammed with riders. More often than not, the situation out there gets twice as bad during rush hour. 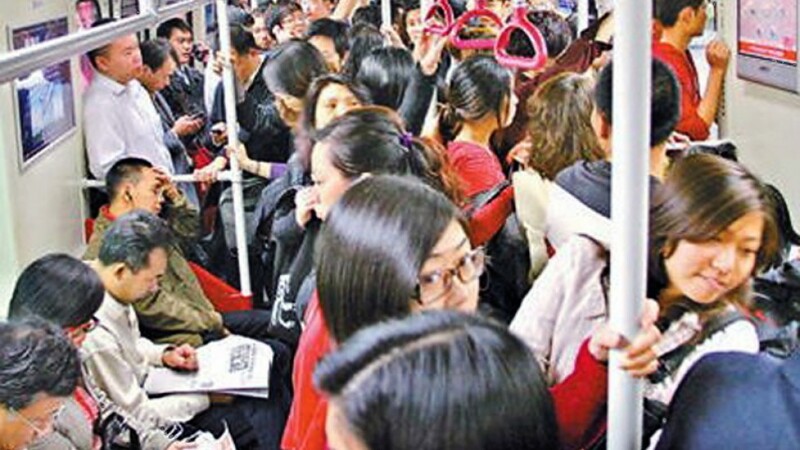 Just for the record, 6 of the most crowded subways are located in Beijing, China. From Seoul Subway in South Korea to Beijing Rapid Transit in China, today we’ll show you some of the most crowded subways in the world. First on our list is the extremely crowded subway in the snowy megapolis, Moscow. On November 29, 2012, the metro system in Moscow broke the record for its daily number of subway riders. According to the Russian official data, the Moscow subway registered over 9 million passengers on that day. Perhaps some passengers just passed through to enjoy the beautifully decorated stations. As for that, there’s a specific stretch of the railway that used to serve as a platform for political speeches. Stalin was also among the Russian political figures who would give speeches there. It’s believed that more than 1,61 billion passengers ride the Mexico City subway on an annual basis. According to the unofficial data though, the annual ridership sure goes beyond 1,61 passengers. Constructed back in 1967, the Mexico City subway first came as a futuristic and ultra-modern concept. It was supposed to solve the deep-rooted congestion problem in Mexico City. As you can imagine, the Mexico City subway quickly fell victim to its unbelievable success. As a result, the Mexico City subway is one of the most overcrowded subways around the world. Saying that the Paris subway can make the difference would be an unscrupulous lie. It’s neither less crowded nor easier to follow. The subway map in Paris is often compared to that in Shanghai: it’s all Greek to tourists. The language barrier only makes it twice as hard. As you can see in this picture, the subway is anything but an exciting experience. It’s said that the annual ridership out there goes near 1,66 million subway riders. Well, it seems that the magnificent French capital brims with tourists and locals 365 a year, 24 hours a day. 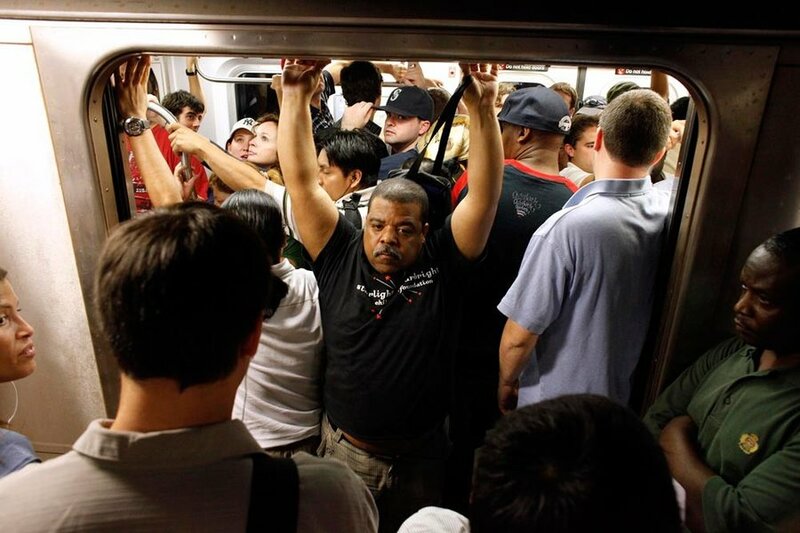 If we say that the NYC subway bursts at the seams with people year-round, we’d be right. The annual ridership of the prosperous NYC subway goes beyond 1,66 billion. It’s also been estimated that more than 200,000 tourists ride the subway to get to Times Square every single week. Can you imagine how high this number is? Indeed, such overcrowded areas are the perfect place for experienced pickpockets. With that being said, we can only advise you against riding the NYC subway. Bottom line: save your fancy watch by getting a taxi instead. Think wisely. Meet one of the oldest subways in the world. In fact, London’s complex metro system is at least 150 years old and features a total of 270 stations. That’s quite impressive, isn’t it? Another mind-blowing fact about the subway is its ridership. Every year, more than 1,3 billion passengers ride the subway. It’s no wonder why it’s one of the most crowded and oldest metros in the world. 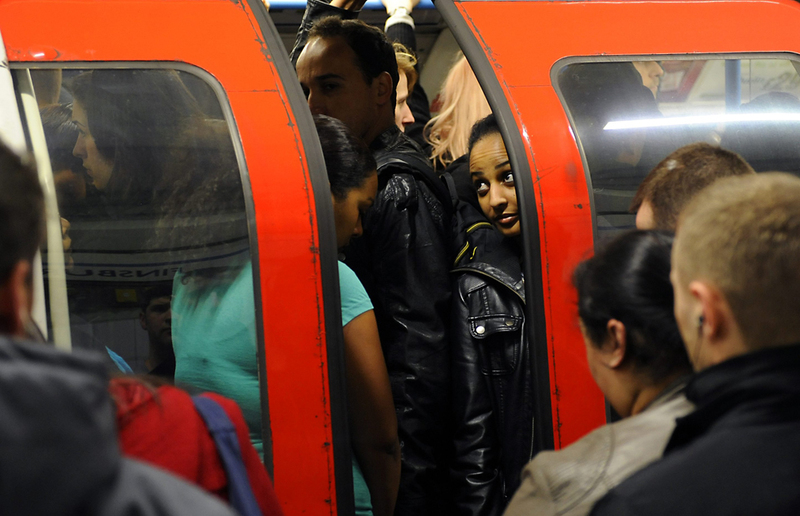 In 2013, London’s subway celebrated its 150th anniversary. By the way, the busiest stretch of the metro is Waterloo station. On the bright side, it comes with an escalator which is definitely a relief. 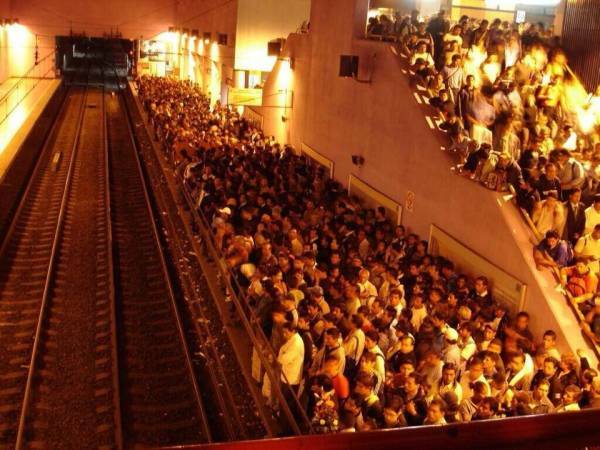 If you’re coming to Sao Paulo anytime soon, then make sure to skip its extremely crowded metro. Its underground is so jammed that you feel like you can barely breathe in there. In other words, you’re literally trapped the moment you get on this subway. What if you had to ride the subway for more than 30 minutes? Well, that’s a spine-chilling thought you’d better chase away immediately. 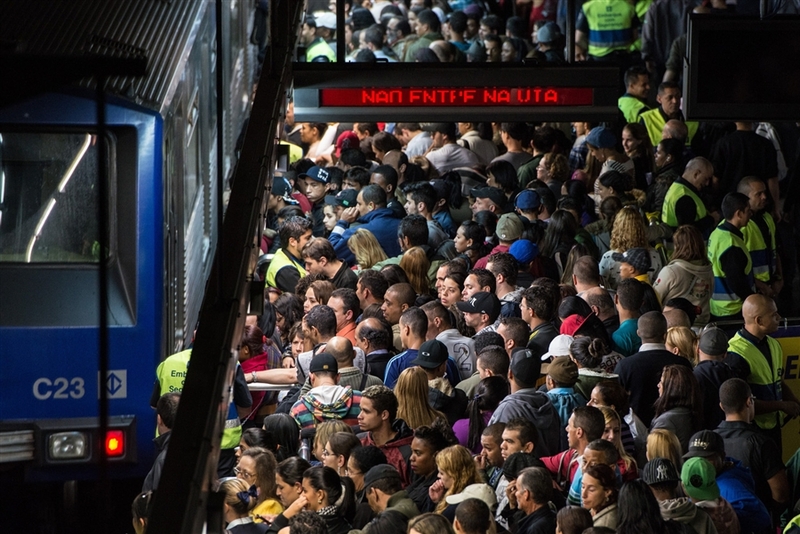 As for Sao Paulo’s annual ridership, it’s believed to be somewhere between 1.1-1.5 billion passengers. Well, you can at least practice breath retention for much longer. The Hong Kong subway is another heavily packed subway that’s otherwise quite safe. Unlike many other metros around the world, Hong Kong’s subway is considered pretty safe. With an annual ridership of 1,44 billion passengers, Hong Kong’s subway features glass doors and convenient escalators. Well, Hong Kong’s definitely moved a step closer towards innovation and modernization. However, the moment riders get off the subway, they’ll be headed towards the ultra-modern elevators. And there you have it: another epic line-up followed by anarchy and confusion. You see, congestion problems in places like Hong Kong are just beyond any resolution. Shanghai’s metro is hands down one of the busiest subways you can ever ride. It may not be as heavily crammed as the Tokyo subway, but it sure looks crazy enough. Besides, its metro system is so messed up that you’ll need an extra hour only to find your station on the map. 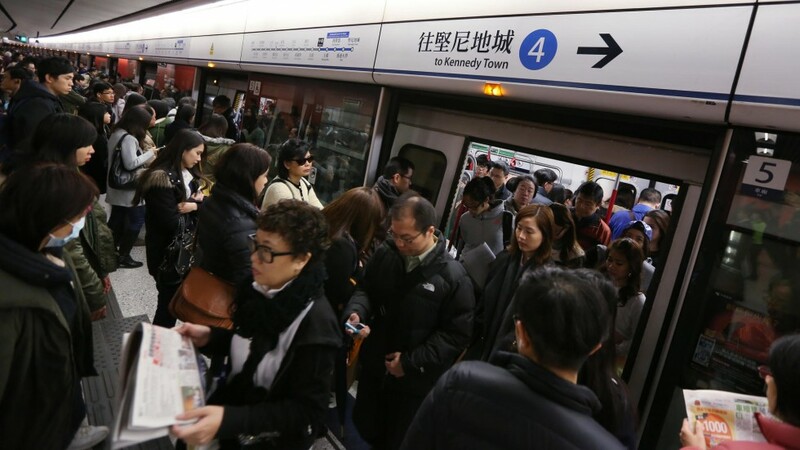 As for its annual ridership, the Shanghai metro system set a new record on March 8, 2013. It was estimated that more than 8,5 billion passengers rode the subway on that specific date. Would you believe us if we told you that the annual ridership of the Seoul subway goes around 2.5 billion? Honestly, we wouldn’t believe ourselves either. But there you have it: the Seoul subway is regularly overcrowded with passengers. But hey, instead of complaining, why not check out the amazing century-long history of Seoul? As you stare at the crowd at the station, just turn around to face what’s hanging on the walls. Seoul’s most compelling chapters are right there on the walls. At least you can let your mind take a break from the crowded subway for a second. As for the subway cars in Seoul, you can enjoy heated seats, TV screens and free wi-fi connection. Indeed, this could make up for the crammed metro stations in Seoul. Operated by GMC, this subway is another record-breaker which deserves a round of applause. In May 2014, the Chinese “Guangzhou Metro” registered the insane metro ridership of almost 8 million passengers. Yes, we know, it’s pretty insane! Built in the ’90s, the Guangzhou Metro features 9 lines and 164 metro stations covering the downtown area as well. By the end of this year, the Guangzhou Metro will have completed its lengthening which is expected to reach a total of 500 km. That’s pretty nice, isn’t it? Next on our curious list of super crowded subways is Singapore’s innovative metro. 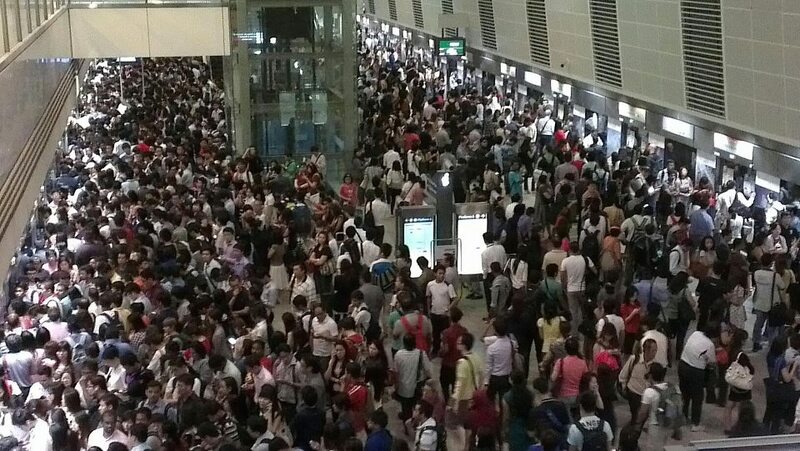 Meet Singapore’s massive rapid transit system that the country is so proud of. If we must describe it in 3 words, we’d most likely use “modern”, “energy-efficient” and “convenient”. Well, it’s just as jammed as the Tokyo subway, but at least it’s one hell of a subway. It’s the ultimate energy efficiency system, so let’s just ignore its annual ridership of almost 800 million. Instead, let’s just focus on its bright sides, shall we? If you’ve ever happened to ride the St. Petersburg metro, you must’ve noticed how beautiful its stations are. Let’s take Avtovo as a gorgeous example. This exact metro station is adorned with lovely chandeliers, columns, and other exotic elements. As you wait for your ride, turn around and explore the curious metro signs written in Cyrillic. After all, it’s always a good idea to keep your mind occupied with something. Besides, there’s nothing much else to do anyway. So yes, St. Petersburg Metro may be overcrowded but at least you can enjoy its fine decorations. As the 3rd largest and most populated city in Japan, it’s no wonder why Osaka is featured on this list today. Osaka’s busiest metro station is Umeda, located in the commercial district of Osaka. Every day, millions of tourists pass through the station to reach the downtown area. Besides, the Umeda station provides an easy access to the most curious parts of Osaka, including its renowned skyscrapers. At the Umeda Sky Building, tourists can take in exceptional panoramic views of the entire city. Indeed, such beauty could compensate for the awful subway experience in Osaka. Much like Beijing or Seoul, Tokyo’s metro network can’t really offer you an exciting ride through the city. In 2016, it even broke the record with its annual ridership of over 3.3 billion people. Can you believe this? This automatically makes Tokyo the second most crowded subway after Beijing. With its rapid transit network that spans over 310 km, Tokyo Subway features 13 lines and 290 metro stations. As for its system, the Tokyo subway brags about having two operators, Toei and Tokyo subway. By the way, there’s one particular station that’s traditionally crammed with passengers. Wherever you’re headed, please make sure to skip Shinjuku Station. Believe us, you’ll be gasping for air the moment you get off the metro car. What a surprise, huh? Just kidding. The Beijing subway system is anything but easy to read and follow. It features countless directions, 17 metro lines and 232 stations offering an awful ride. Much like London’s old metro system, The Beijing subway has been operating since 1969. Today it’s still one of the oldest fully-functioning subways around the world. Originally, Beijing Subway offered only 2 metro lines until its major reconstruction a few years back. Since then, the Chinese subway has increased its ridership by 20 %. According to statistics, Beijing’s subway has set the bar high by offering its services to over 3.2 billion passengers.